Modern marketing and marketing technology have become inextricably linked. There is no marketing without technology. It doesn’t matter if you’re selling to other businesses or to consumers. You need technology to reach your prospects and customers. The word “reach” could even be replaced with “discover,” “communicate with,” “nurture,” or “retain.” Technology can help with all of that. In a study by Ascend2, 63 percent of marketers say they have all the marketing technology they need. We’ll get to whether they feel like they are fully utilizing it in a moment, but let that sink in. Nearly two-thirds don’t believe they need any more martech tools to run their marketing. Now, let’s just forget that I work for a company that sells marketing technology and think of me as another marketing practitioner just like you. I create and distribute content that hopefully resonates with our prospects and customers. Are we using technology to do that? Of course we are. Are there additional tools we could use that could help us do that better? Of course there are. In a marketing world where everything is in a constant state of change, we can always do better. The bar of success is continually rising, and the activities that work today may not work tomorrow. Writing blog posts, sending emails, publishing ebooks, posting social updates, and creating videos are all tactics that have worked to varying degrees for marketers. Compare your results from each channel to your results a year ago. Some may have improved, but certainly some communication tactics have decreased in their effectiveness. Whether or not you fully understand the reason for the change, you can see the trend line. And you need to try to do something about it. Technology might be the answer. Those external pressures for tangible growth are not the only ones that marketers feel. Not many of us work in organizations that don’t desire growth in our marketing function. 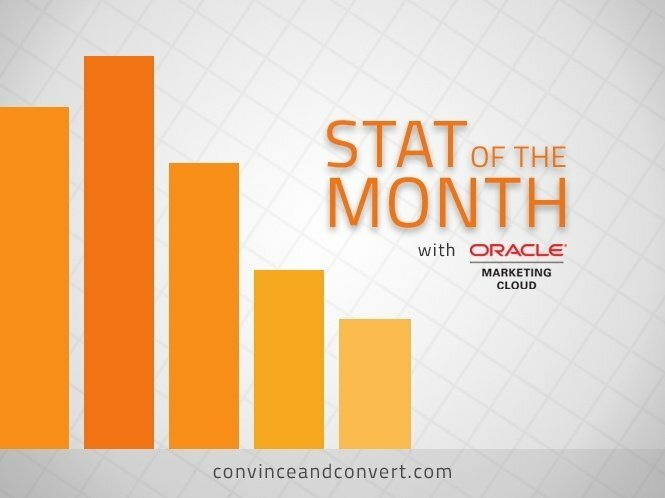 How many leads did you generate for sales last year? Well, sales has a bigger number this year, and so does marketing. 10 percent? 20 percent? 50 percent? This is hard to do without making some significant change. You’ll need a new strategy for a big increase, but you also might need new tools, too. Remember what they say about doing the same thing and expecting a different result? Besides being a definition of insanity, it is not a way to improve your marketing results. But the marketers in the survey seem to have everything they need. How are they expecting to address both the internal and external pressures to improve performance? I always imagine marketers as little kids with their noses pressed up against the glass of a toy store, eyeing the latest martech solutions and making a technology list for their CMOs. It’s really hard to believe that they have everything they need. Are You Fully Utilizing Your Technology, Truly? I don’t know about you, but I could never picture those words coming out of my mouth. Every feature and every function of every tool is being used to connect with the right prospects and pass them along to sales. Does this mean that you have identified every potential customer in your universe? Or just every feature and function that can help you reach them? Have you ever rung out a wet washcloth and twisted it as tightly as you can? Is there still water in it when you’re done? Always. There is always more you can get out of your marketing technology. So the next time you are reviewing your software investment, don’t just think about what you are doing today and how it serves your current strategy. Consider what has to change when someone or something ups the game and you need more leads or sales. Lots more.